Bill Paxton was a guy who could do it all. Whether he had a role in a movie or a TV show or even a music video. Whether the role he was playing was a comedy or a drama. Whether he was a hero or villain. Whether he was the lead or a supporting role or just a cameo, Bill Paxton could do it all. He had an extensive career that included a huge host of diverse roles from both movies and television. He has been revered as one of the nicest and kindest people in the entire business. He brought his A-game to everything he did. There are an avalanche of great roles he had. Some films that will never die. I may not have liked the film "Twister," but that doesn't mean Paxton didn't play his role well. There was his great role in "Apollo 13" where he acted along side Tom Hanks and Kevin Bacon. There was his role in "Titantic," and even though he was only in the flashback scenes, he made those scenes count. Or his absolutely bonkers, creepy role in "True Lies." Or his cowardly commando role in "Aliens." Those are the big ones people will talk about, the roles people will bring up most today in conversation. I don't blame them, he was great in all of them. Some of my favorite Bill Paxton roles were in the films "Near Dark," "Tombstone" and "U-571." "Near Dark" was a vampire western type movie where a group of vampires drove around the desert, and feeding on humans they found. There is a wonderful villainous role that Paxton mastered. "Tombstone" is one of the best modern westerns of all time, and tells the story of Wyatt Earp better than that self-titled garbage that came out in 1994. Paxton plays Earp's brother, and its just another great dramatic performance by Paxton. "U-571" was about a daring Allied mission during World War II where a group of American soldiers overtake a German vessel, only to be confronted by more than they bargained for. Its a fascinating movie, and features a great Paxton performance. There is also "Frality," a little saw, under-appreciated film that not only did Paxton star in, but also directed. Also, "A Simple Plan" was one of the best films of the 1990's. These all may not be the roles that Paxton is readily remembered for, but a rich collection of his work that showcases how much of a range he truly possessed. Bill Paxton also played one of my favorite villains from the Marvel Cinematic Universe. 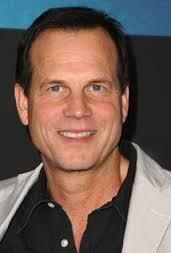 When Bill Paxton was announced that he was going to join "Agents of S.H.I.E.L.D." I was pretty damn excited. But when it was later found out that he was both The Clairvoyant and a part of HYDRA, my jaw hit the floor. The massive reversal of good guy to bad guy felt like a betrayal for me. Thats what a great villain does, makes you feel something when they are doing their bad deeds. He made this TV show count and he was clearly having a ball playing this character. His passion showed in his work. We could spend all day talking about the great work done by Bill Paxton. He is a man that will be missed quite a bit.